100 irresistible recipes for bread, biscuits, cakes, pizza, pasta and party food. ‘Everyone has their favourite smell that reminds them of home – mine is baking’. There’s nothing more satisfying than baking and this book proves that it doesn’t have to be complicated. Using just a few ingredients, Gino shows you how to make popular Italian breads, tasty cakes, pasta bakes and of course, pizza! You too can experience the smells, flavours and textures of traditional Italian baking. 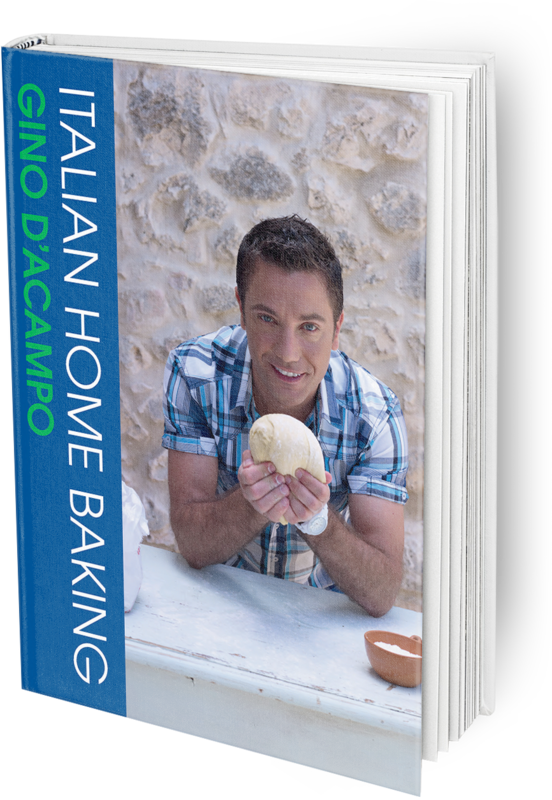 Italian Home Baking was a labour of love for Gino so click below to buy Italian Home Baking or to view recipes in Italian Home Baking.